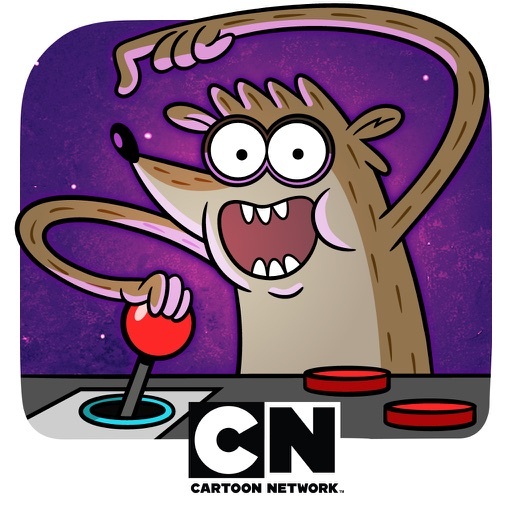 Test your skills in an awesome arcade full of Regular Show games! It's Just a Regular Arcade! 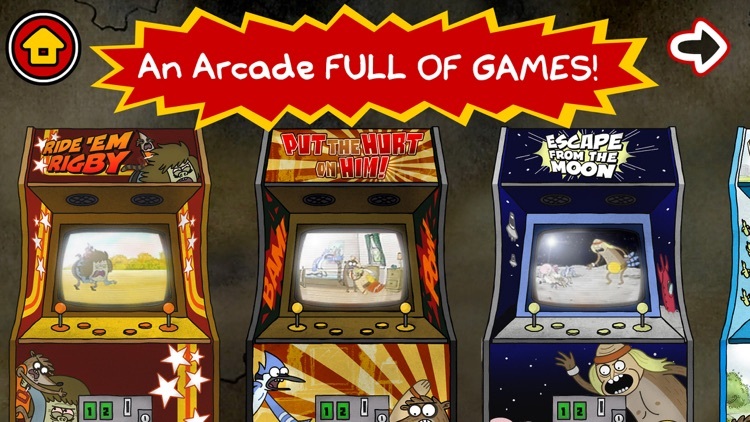 Mordecai and Rigby love all kinds of video games, and now you can have an arcade just like them! 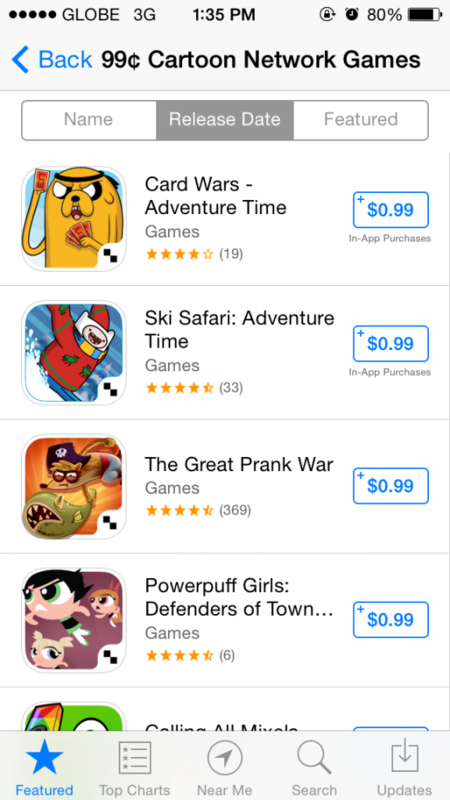 Choose your favorite game, and go for the high score. 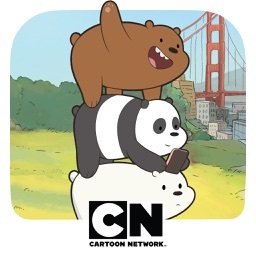 You get all that in one incredible free app! 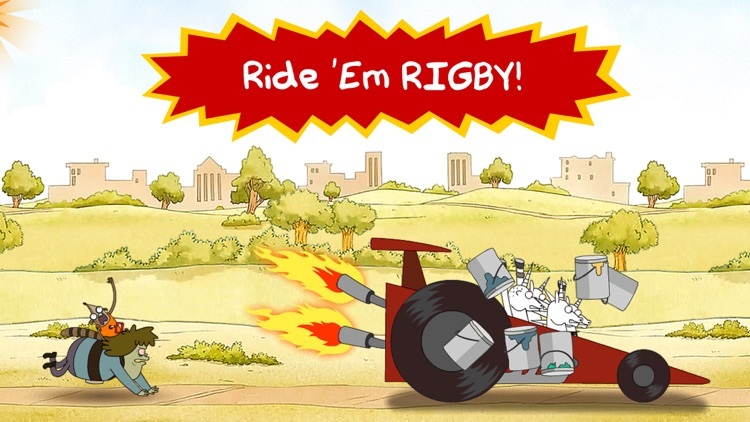 We're sorry the Ride 'Em Rigby game was out of service for a while, but it's fixed now! 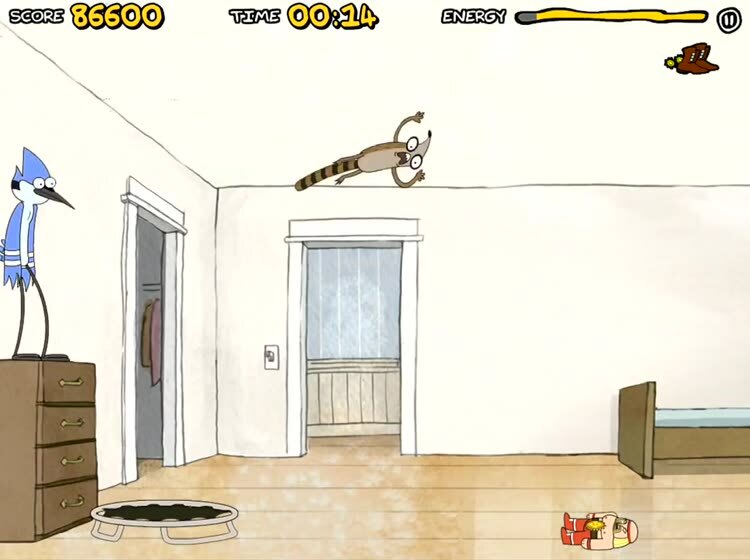 Hop onto Muscle Man's back and hang on for dear life as you dash and crash through all sorts of crazy obstacles. How long can you last? 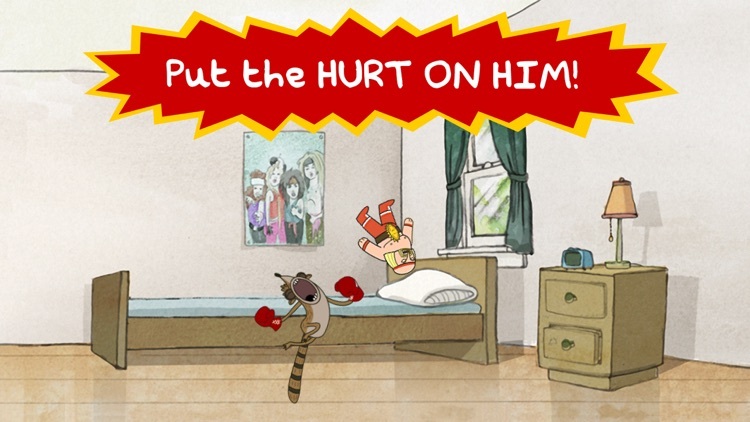 Launch Rigby from a trampoline and give Beef Burrito a royal beatdown. Use powerups to bring the pain! 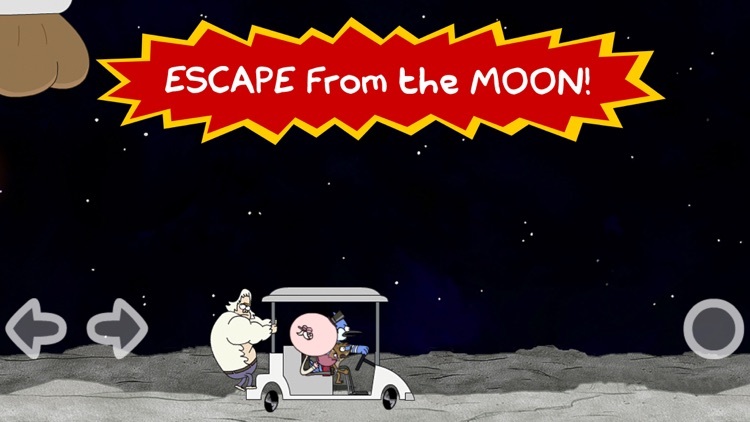 After Rigby sends the gang to the moon using The Power, you've got to use the golf cart to outrun the massive Moon Monster and get home safely. 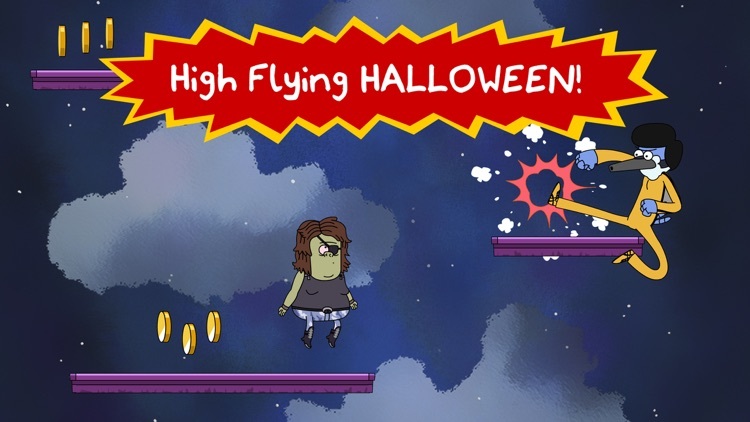 Muscle Man's Halloween wish is to fly, so Racki the Wishmaker grants his wish … with a giant pumpkin catapult! 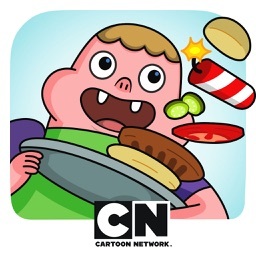 Help Muscle Man ascend to the stratosphere and collect some sweet coin along the way. Lord Ross has harnessed the power of the Timenado, and he's destroying all the timelines. 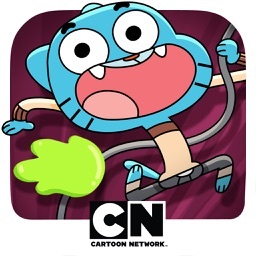 So Rigby grabs the nearest laser sword and leaps into action! 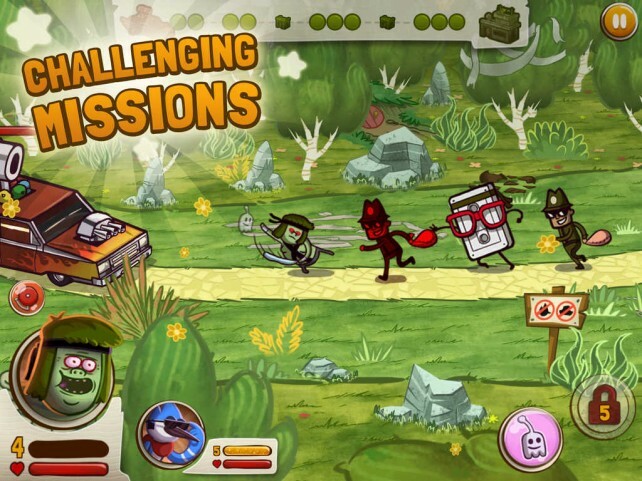 Fly through outer space battling evil robot minions. 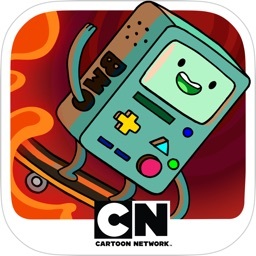 Upgrade your sword and use power-ups to call in your friends for backup. 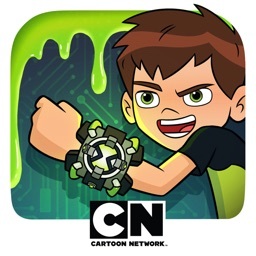 Save the universe and all its timelines in Future Blast! What are you waiting for? Get your game on with JUST A REGULAR ARCADE! 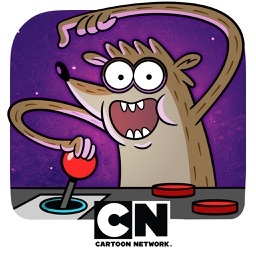 Cartoon Network has just unleashed another iOS game based on its popular anything-but-regular animated show, "Regular Show."